Ole Gunnar Solskjaer labelled Marcus Rashford "different class" after his performance in Manchester United's 4-1 win over Bournemouth. 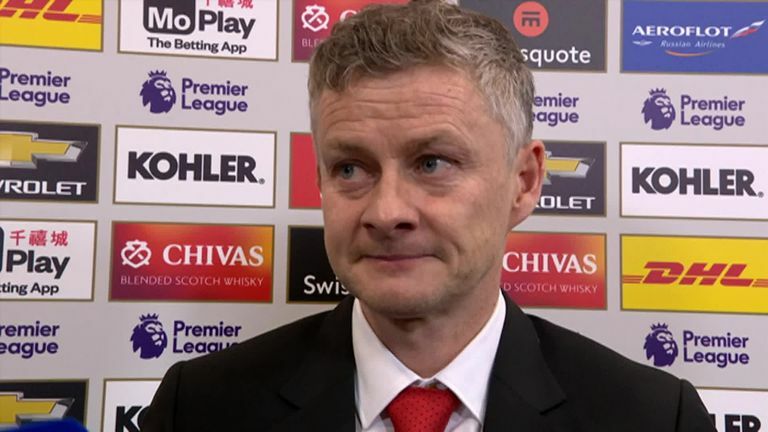 The England international scored one goal and set up another at Old Trafford as Manchester United made it three wins from three under interim manager Solskjaer, who believes Rashford can become one of the best strikers in the world. Rashford set up Paul Pogba for the first of his two goals with a sublime piece of skill to get away from two defenders before crossing for the France international. It was Rashford's sixth assist in 17 Premier League appearances this season, as many as he managed in his previous two seasons combined. "Marcus has been different class since I came," Solskjaer told Sky Sports. "He's scored two now in three. "His work-rate is unbelievable. He closes down, chases, runs in behind, and the skill for the first goal for Paul… the first thing, he holds the ball up, he hasn't got the right to get past them. "He's got all the chances in the world, the potential of being a top, top, top striker."